The Glow Premium is a beautifully illuminated light board for all your crafting projects, this advanced LED technology offers crafters, artists, and creators alike a new way to see and engage with a project. This brilliantly lit work surface illuminates your medium with 3 different levels of light. 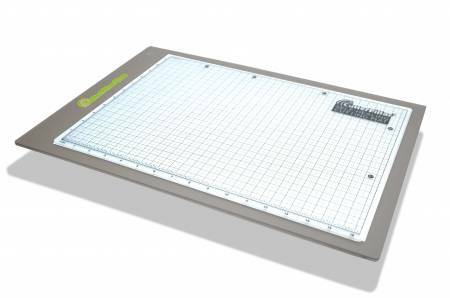 The Glow comes with a non-slip self healing cutting mat that lets th elight shine through your project.